What types of email should you send? You should be able to send the email campaigns that make sense for your business. That’s why we gave you as much control over your email as possible. Trigger emails based on purchase. Or site visits. Or engagement. Automatically send emails when your contacts are most interested. You don’t need to be a tech wizard to send emails. Our drag-and-drop email designer lets you set up beautiful campaigns in minutes. Hook your favorite apps together, from payment processors to membership websites and ecommerce stores. 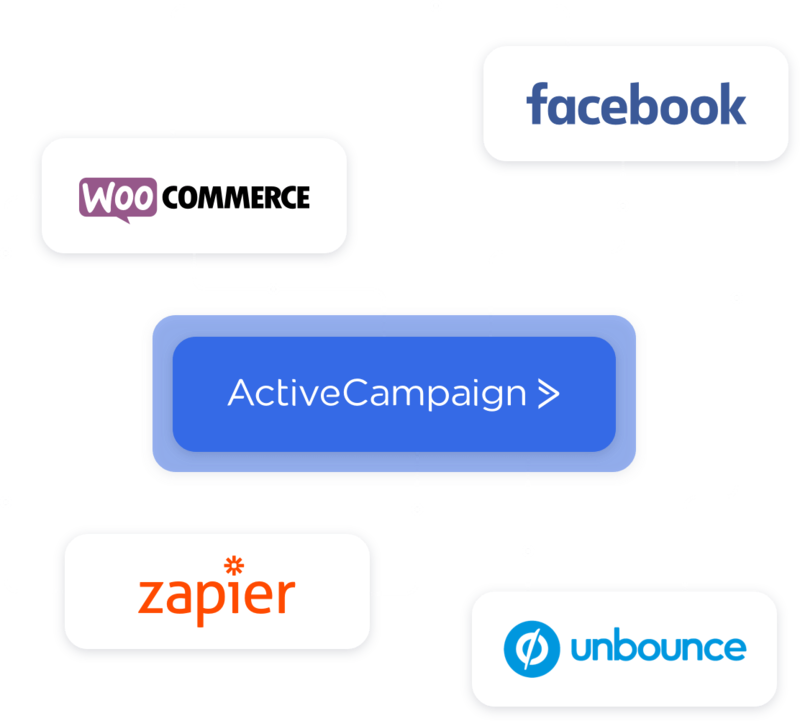 ActiveCampaign integrates with PayPal, Stripe, Shopify, WooCommerce, BigCommerce, Facebook, and 150+ other apps. With 25+ professional email templates, all you need to do is change the words and images to match your business. Our email features work together, so that you can send the emails that matter for your business. Edit campaigns together with your team. Store all your edits in case you need an older email. Have deliverability taken care of, so you reach as many people as possible. 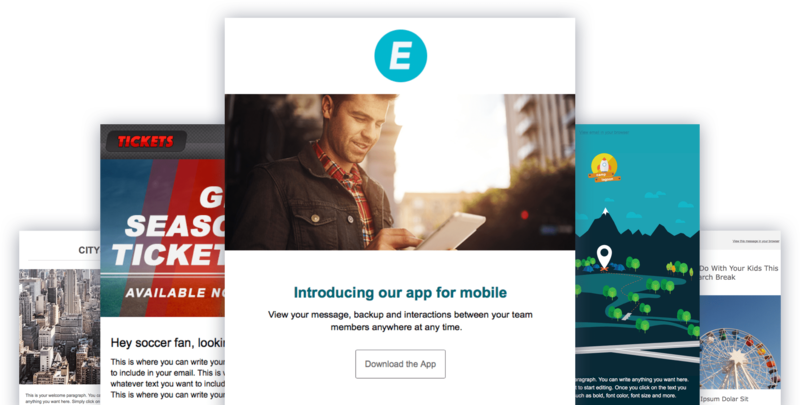 Connect your email marketing service to your favorite apps. Make emails look as good on mobile as they do on desktop. Add tags, get notifications, and create deals, the second an email link is clicked. Automatically capture your contacts location for geotargeted campaigns. Track your campaigns’ viral spread on popular social media sites. Track what contacts do after they click through to your site through our Google Analytics integration.